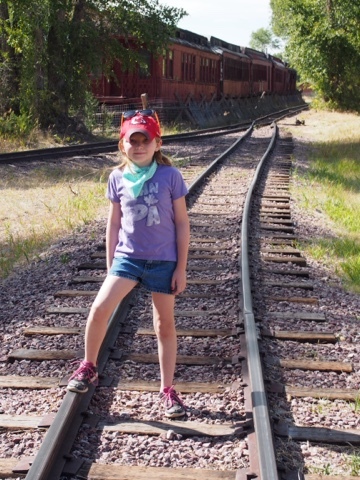 You Is the Monday challenge at Simon Says Stamp blog! 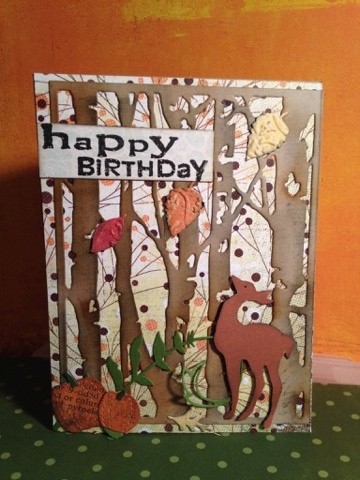 I had been making cards over the weekend and embossing some birch trees! 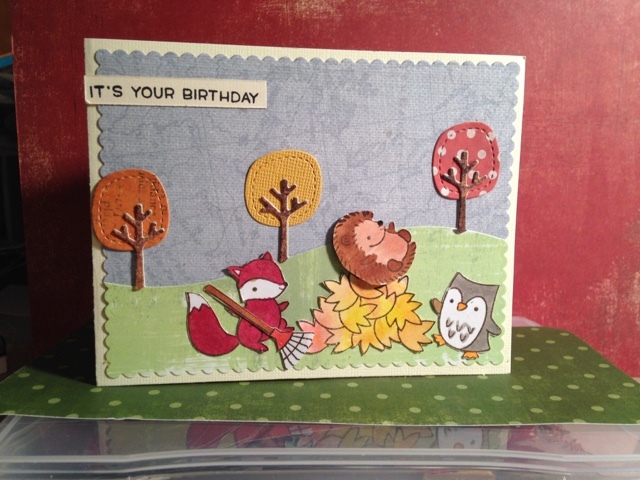 Here is my card using W Plus 9 stamps and a couple of Memory Box dies. Making a good dent in creating cards for Christmas. Have about 25 completed! Getting back into the busy swing of life. 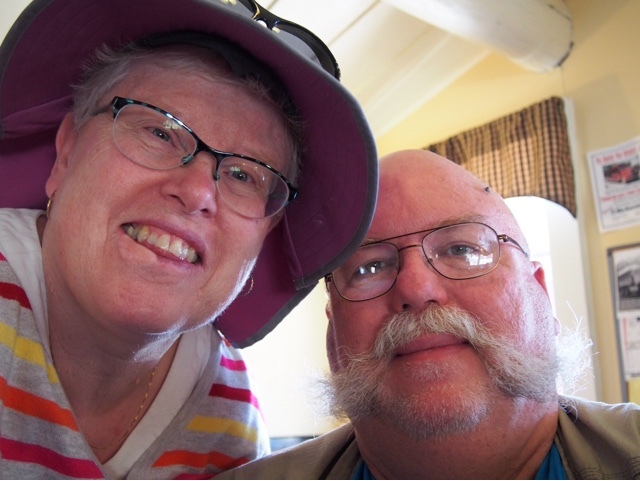 Curtis and I did a road trip to Helena to enjoy breakfast at IHOP and make a Costco run. 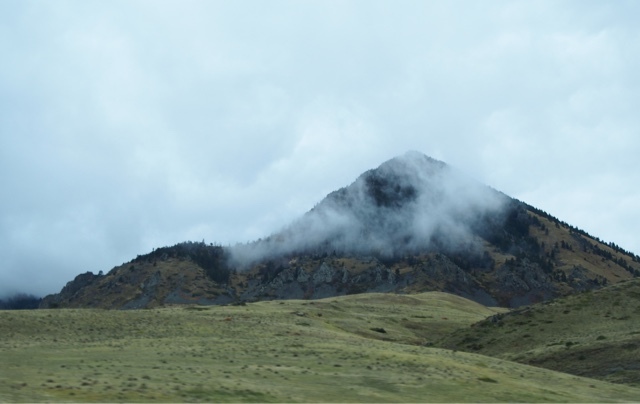 A few snaps along the way. 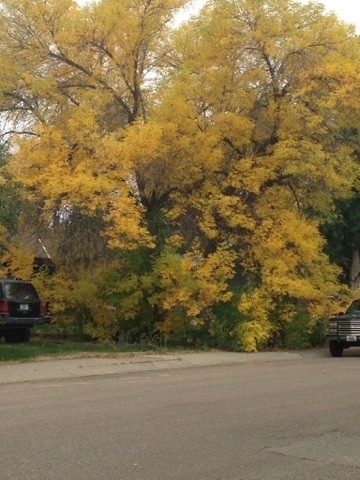 Trees starting to turn, ground cover beautiful! 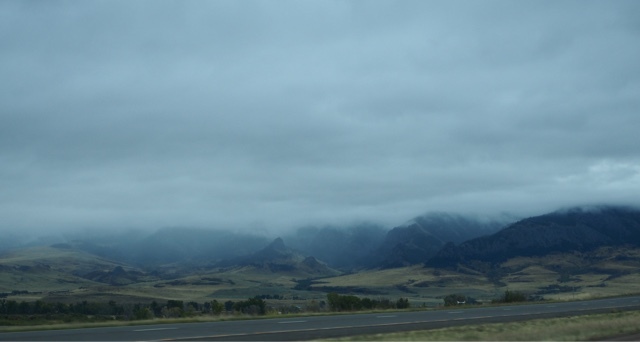 It was cloudy, misty and rainy to start our day. 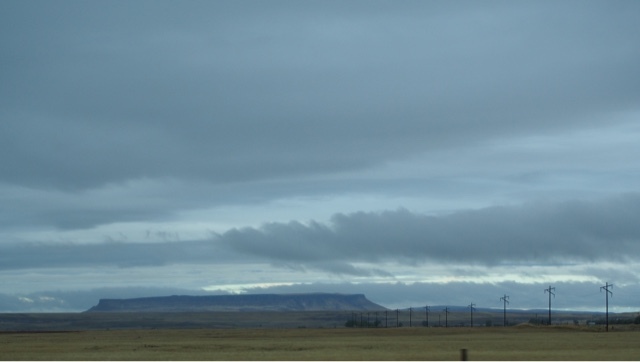 Low lying clouds. But we came home in sunshine. 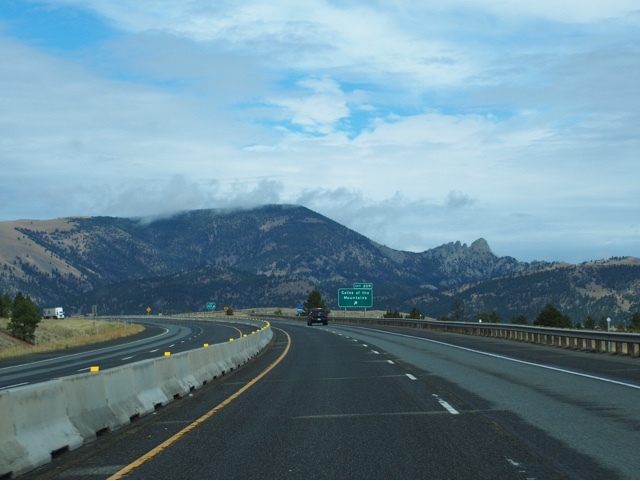 Remember all these photos are taken rolling down the highway at 80mph! One last one. Can you see the sleeping giant??? Saturday I majorly cleaned house since it really got neglected when I was sick. The bigger grandkids were here and joined us for dinner. I was back to the grind on Monday. A unit full of grumpy, unhappy babies. Spent the better part of my day holding and consoling them. Poor little things! 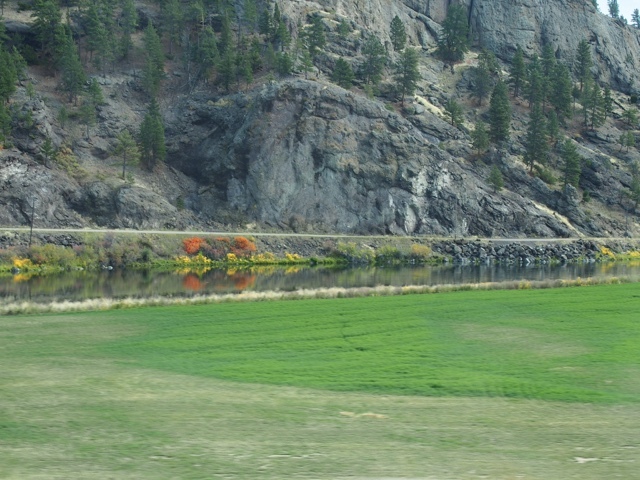 And here we are mid week and I am headed out of town to Billings for a nursing conference. To put my brain in gear and hopefully receive some useful information. A few others from the unit going to. Getting CEU hours so I can relicense come Dec.
Curtis and Harlee are headed to the Flathead to visit the greats! Summer is officially done and we are onto fall. Summer sure whizzed by thisnyear. Autumn is my favourite time of the year! 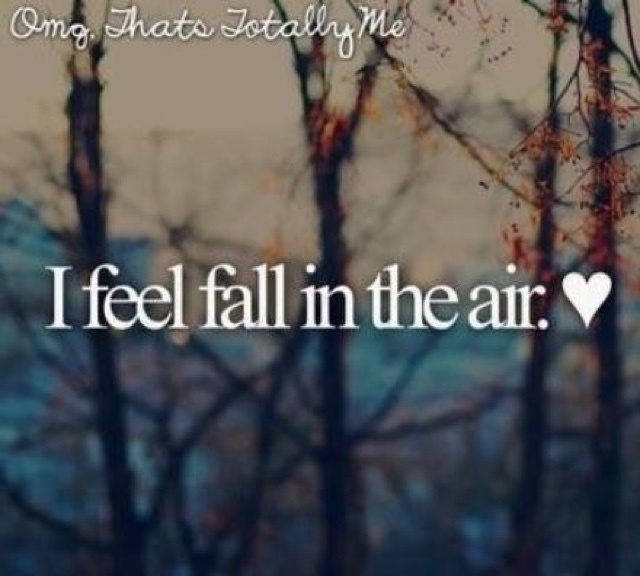 It is sure feeling like fall today, rainy, cold and dull! I am finally feeling back to my old self, although get tired by the end of the day! Visited the cardiologist on Tuesday and all the tests have been negative. Probably never know what it was. Could have been over tired, over stressed, or it could have been some kind of virus. My shouldwper blade that had been so sore through this, has miraculously cleared up. But it is getting an MRI to check it out. 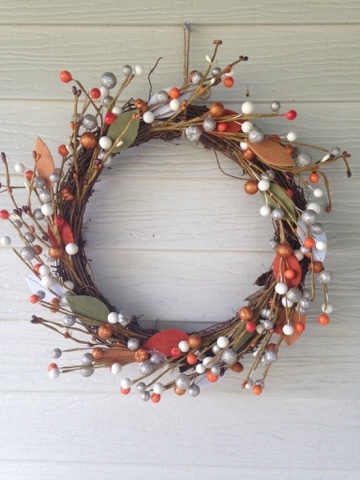 I went out and got a nre fall wreath to decorate mt front door! My old one was looking very tired! I am backing to walking in the mornings and enjoying the show that Mother is starting to show right now. 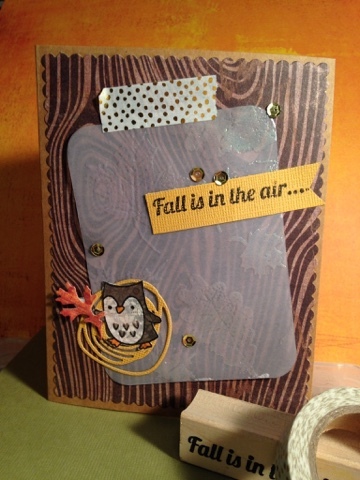 One cute little card to celebrate fall! I embossed leaves on vellum with clear embossing powder. Is the category at Simon Say Stamps Wed. Challenge this week. I am not sure clean and simple is in my creative style. But I have been making some Christmas cards so I can get a jump on the season. It is something I can sit and rest and do. So here is my clean and simple card. Papers from my scrap basket. And I spritzed the background with Cherry ColorShine. I had a couple of packages arrive from Cait to keep my spirits up. It has been a frustrating week after retiring rning to the ER on Monday having side effects from too much beta blocker they started me on. And I was just starting to feel more like my normal self!!!! 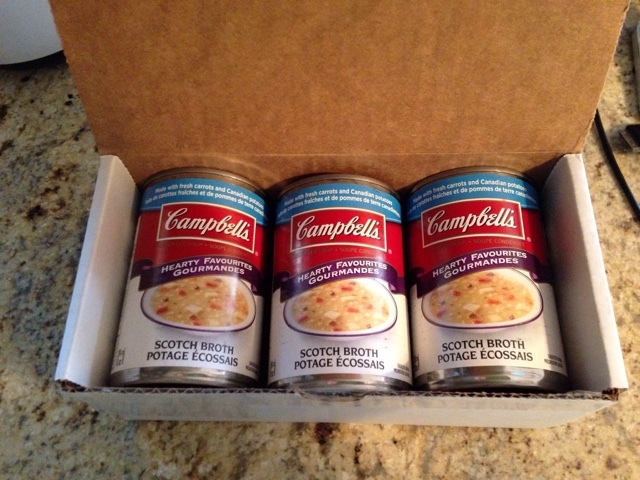 One box has wonderful Scotch Broth soup, one of my favorites. Something you can not find in the states and I haven't found it in Lethbridge for quite a while. I will totally enjoy these. Another box had bath bombs and a book to read. Already tried out on of the bombs in my jetted tub. Simply marvelous. 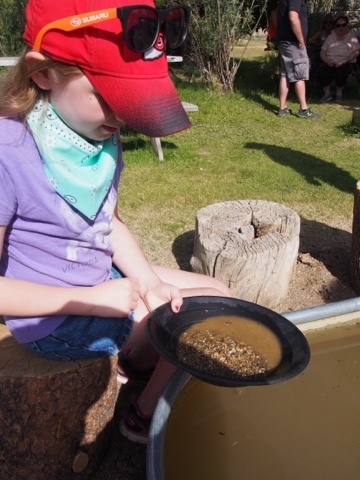 Have to include a couple of photos of Harlee when she was panning for gold a couple of weeks sgo. 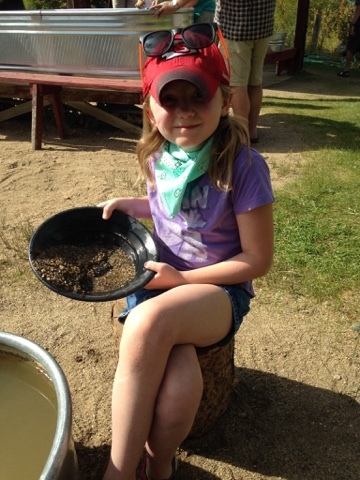 She was in her element sifting Through the dirt for treasure. 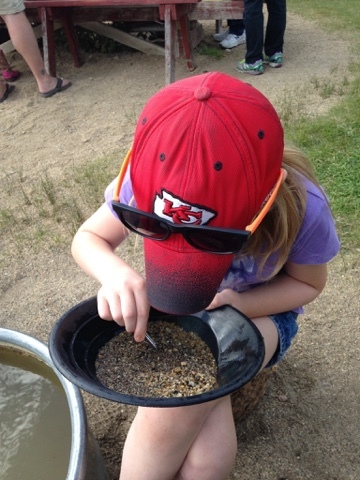 There were lots of garnets, which she was thrilled with as they are her birth stone. And such has been my week! Hopefully next week will be better. Has come early this year. We tied the standing record of 28F for Sept. 13. It is bright and sunny now, but still only in the 50's. 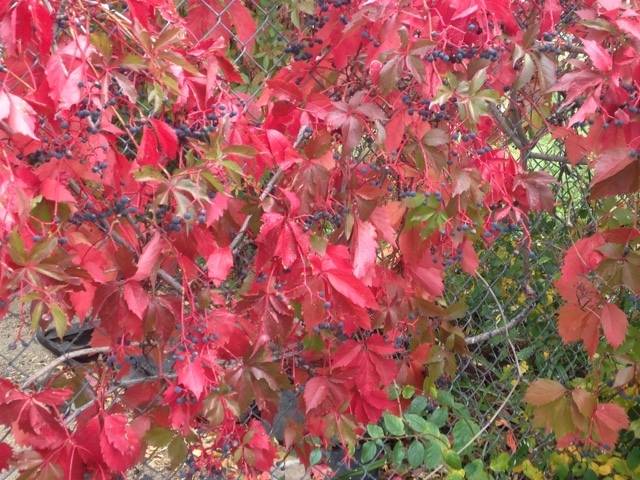 Hooefully we will have lots of warm fall days yet. 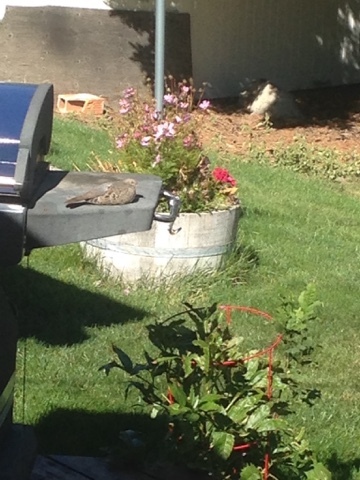 Captured this photo of a dove sunning this morning. It is sitting on our BBQ close to the house. I guess it was trying to stay warm too. That is the end of the tomatoes for the season. Kirsten brought me over some grated up zuchinni that I put out in the freezer for snowy winter days. Made a few fall birthday cards since I seem to have a few people I need to send cards to. 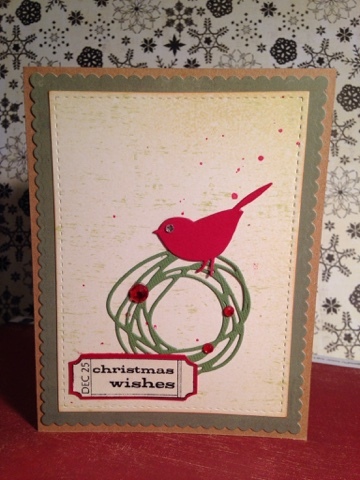 Made this card with dies and stamps from Lawn Fawn. Coloured them up with a few Copics and also used Tim Holtz distress inks. Papersall came fom my scrap basket. Yeah, for using some of those up. It seems I have an never ending supply. Seem to be awake early this Sunday morning. Yesterday, Curtis and I tackled our rig and got it all cleaned out. Took out the mats and washed tgem down. Curtis got the shop vac out and I wiped everything down. So it looks pretty spiffy inside now. Gets a bit grungy after having grandkids ride around in it. I have tried two new meals this past week, which survived trial and error. One was spaghetti squash with bacon, spinnach and cheese. Even Curtis who does not eat spinach spproved. And it was enough for a meal and a half. Also cooked up turkey tenderloins which were quite yummy and will tide us over until I cook Canadian Thanksgiving in about a month. 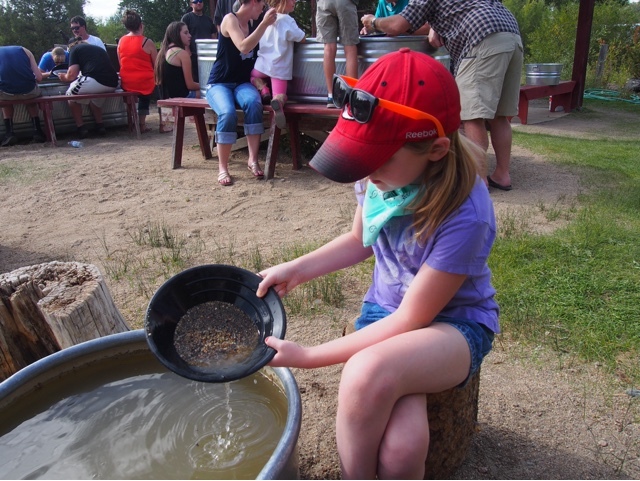 We kept Harlee after school on Friday and Curtis took her to the star party at the Interpretive Center. Thankfully it was a clear night. And the evening was pretty warm for Sept. Not like today and tomorrow, where the mountains near us are under a winter storm watch. We will just get rain. Another card I have created. 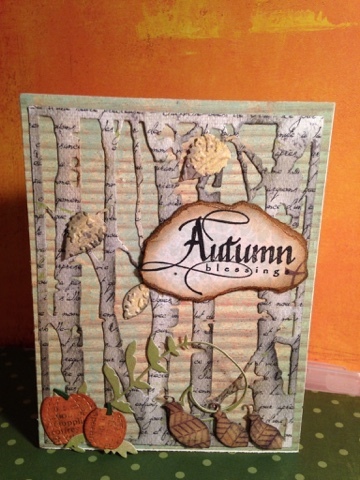 The leaves are a Tim Holtz die- Fall Foliage. There are lots of thinlet dies in this pavkage. A good bang for your buck. 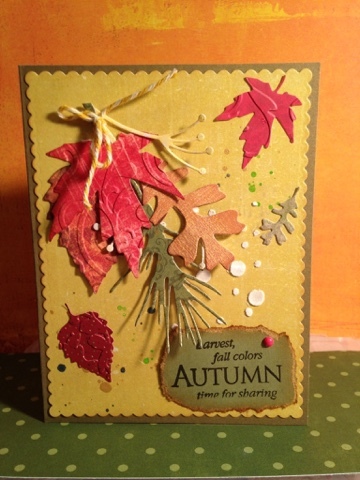 I ran some of the leaves through an embossing folder. I also did some misting of the background and used some texture paste. The greenery I spritzed with gold, but that isn't showing up. Today has been a perfect with highs in the high 60's, minimal wind and plenty of sunshine. I did some house cleaning and got in the basement and filled 2 bags with items to go to the Good Will. Curtis took me out For lunch and I continued making a few cards. I have a few fall birthdays and Canadian Thanksgiving isn't very far away! Trying to stay on top of things. Next on the agenda will be Christmas cards. All cards were created with scraps out of my scrap basket. I love using my scraps up and it is a good reason to save them!!! And you know how I love my dies and creating scenes!! My Big Shot has been used so much a screw fell and Curtis had to go buy an Allen Wrench to repair it. The pumpkins and greenery are Memory Box dies. The little quails are a die from Poppy Stamps. 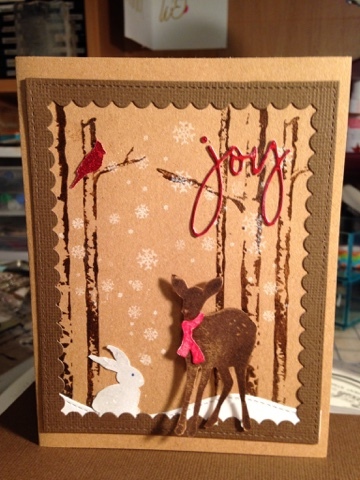 The deer below is a Tim Holtz die. Linking this up for Simon Says Stamps Wed challenge. Quiet day!!! Windy day!! Oh so windy. 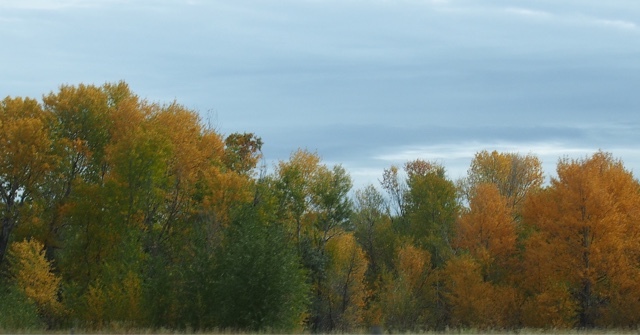 The wind does crank up around here in the fall and spring. Put my flamingo decoration away early last week, so it wouldn't blow away!!! Got caught up on my laundry. Remade the bed Cait used while she was visiting. And made cards. Getting ready for Canadian Thanksgiving and a couple of fall birthdays!!! The Big Shot has been getting its work out cutting lots of dies. Need to take photos of them so I can put them up here on the blog. Kirsten and Cooper came over yesterday morning. I asked Kirsten to mow my lawn. That is usually my job, but it just wasn't happening this week. We also took a run to the grocery store for some things on sale. Curtis has headed out for his first camera club meeting of the season. A couple of flower photos from when we went to Nevada City a couple of weeks ago. Not the Weekend I Hoped For!!! Curtis and I had planned to head to Seattle on Thursday morning. But, I woke up having pressure from n my chest and head d to the ER instead. They worked me up for a heart attack, which was all negative. And sent me to see my cardiologist and have a Stress test. Which I flunked majorly. She started me on a beta blocker and scheduled me for a Cardiac cath on Friday. Poor Cait was losing her cookies out there on the coast and coulsn't get back here quick enough. And my cardia cath was normal, which. Means no vessels were blocked. So, now I am back to square one looking for answers and don't geta visit with my cardiologist until the 28th. But, I enjoyed a great visit with Cait. Trying to behave myself and not over do things. And we put her back on the plane to Seattle this afternoon. I received great medical care. Saw some faces on the different units I have not seen in a long, long time. The hardest part is the anticipation and wondering what is wrong. And laying flat in bed for 4 hours after the procedure. And having to pee and not able to get up! As they continue to infuse IV fluids in me. And I stressed this guy out big time! He hates hospitals, period!!!!! But, it prompted him to go and get his bad knee taken care of. 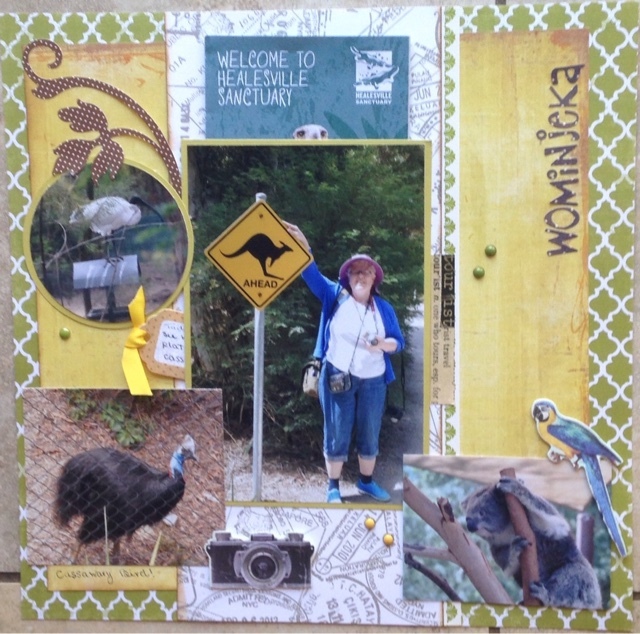 A layout from the Healesville Sanctuary near Melbourne. The brochure is included behind the big photo.